Remember the song – Jhumka Gira Re? We, Indians love the song and the Jhumka as well. Jhumka reminds us about our history, tradition, royalty, heritage and a contemporary dancer in form. 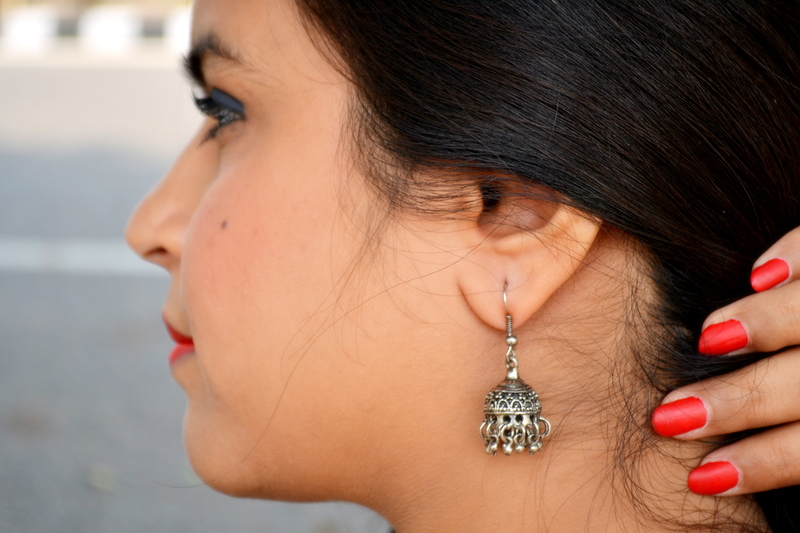 Jhumkas are an absolute must-have for an Indian woman. Indian Jhumka earrings are unique, glamorous and make their own style statement. Jhumkas started their journey in the Southern India’s tradition, ages ago. 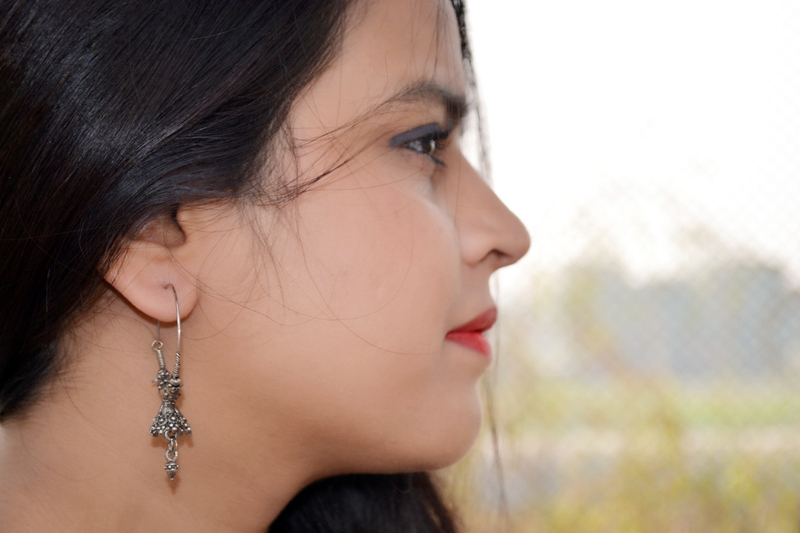 Typical Jhumka earrings go well with ethnic and fusion clothes. 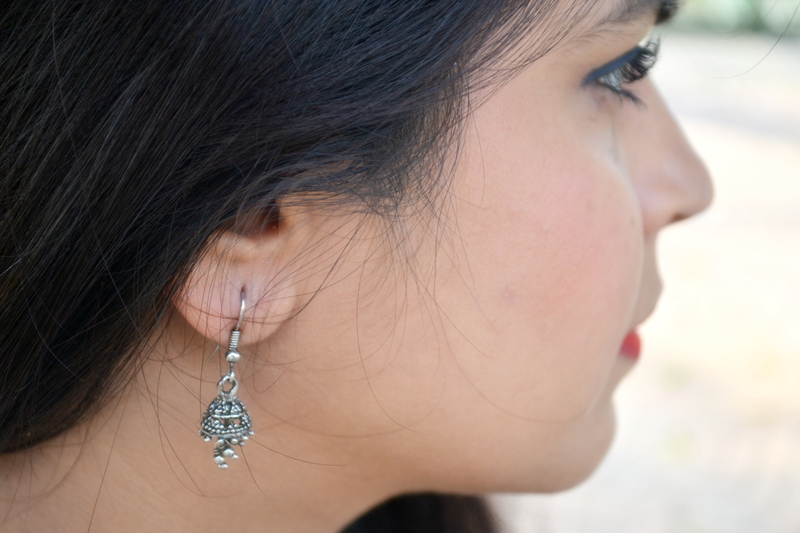 Jhumka is a part of traditional Indian jewelry and never goes out of trend. 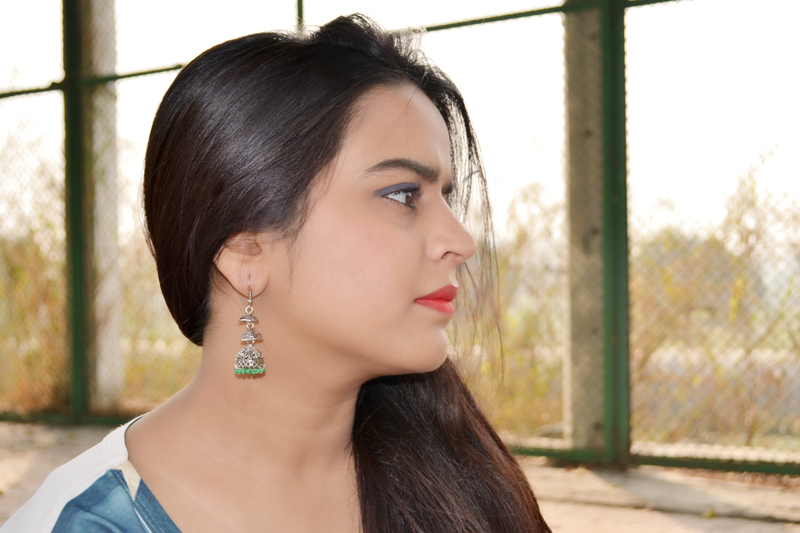 I love to wear Jhumka on any & many occasions. I have many Jhumka earrings in my jewelry box, so today I thought to share them with you. Do you know, the making of Jhumka requires great skills and they are made with hammered metal? They are an all-time favorite jewelry of every Indian girl. You can style them with a casual dress in your college, or with formals in your office. Nowadays, Jhumka earrings come in different styles & colors too. But, before choosing one consider the length of your neck and the shape of your face. Those with round face, must not wear big and heavy Jhumka. Also, select the color of your Jhumka according to your skin tone. If you have a dark skin then gold will suit you the best while Silver Jhumkas go well with fair skin color. I hope your love for Jhumka or Jhumki has become as craziest as mine. No matter how many Jhumkas we have in our “that-wooden-box”, we girls can never have enough Jhumka earrings with us. 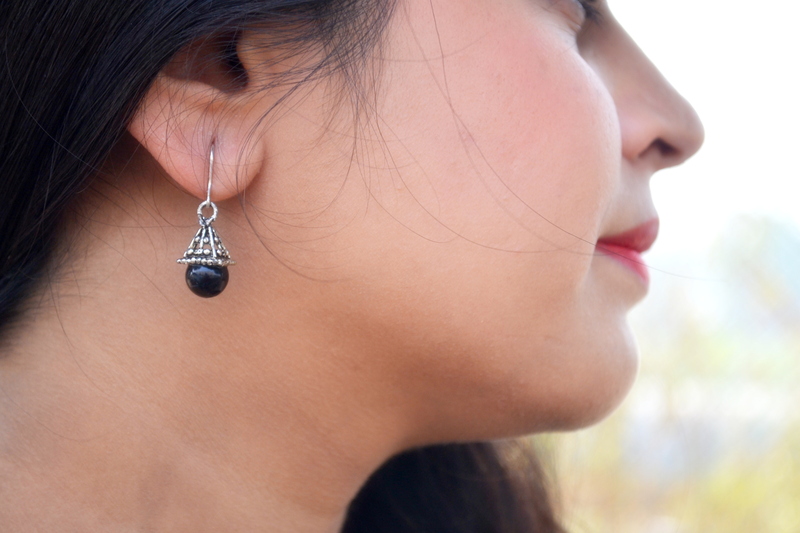 Flaunt your love for Jhumka with style. Such a beautiful collection of silver jhumkas! Beautiful girl with beautiful earrings! Thank you for sharing them with us! Thank you for educating me on Jhumka Earrings! Oh you have a full collection. I love your earrings. Haha.. I remind you of wearing them now. So here you go. Go flaunt them..
They’re just lovely! They make me want to start wearing earrings again. I really like your blog. You are really beautiful. Keep it up! 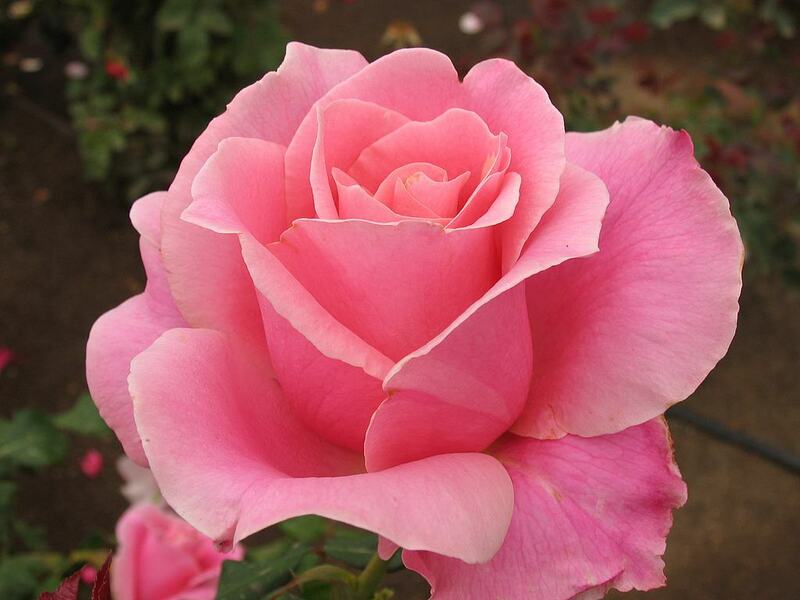 So sweet of you… Thank you Jenn..
Beautiful – I have always admired these styles – I should go looking for some here! I’m sure I can get a pair on the Internet if I can’t find them in a store! So cute. Do you have the traditional jhumkas? I absolutely love those. Not me but my mother has… I borrow it from her for marriage functions only.. Yes, they are lovely. Really nice earrings and useful advice! Thanks for your post, I will read more. Lovely. I particularly like the small dainty ones. Great images of fascinating jewelery. I’d not heard the words Jhumka or Jhumki before. Is there an equivalent word for bracelets?. Haha Thanks…. These earrings are my all-time favorite. Its all worth, they are so beautiful. They are all very pretty. My favorites are the small metal ones, and the ones with the pink in them. Yes I love all of them… There’s something about them unbeatable. Very distinctive and EXTRAORDINARY! are these of your designing and manufacture? WELL then…nice modeling—hope you sell lots quick! Hehe I am selling my blog only. Having sweet fellow bloggers like you is what I have earned till now. Beautiful girl. Beautiful earrings. I have a few of my own. I did not know what they were called or that they had a name, They are quite lovely. Thank you for educating us on Jhumka earrings. Hehe, I am pleased to know that.